….. SOLD – November 2015 ….. 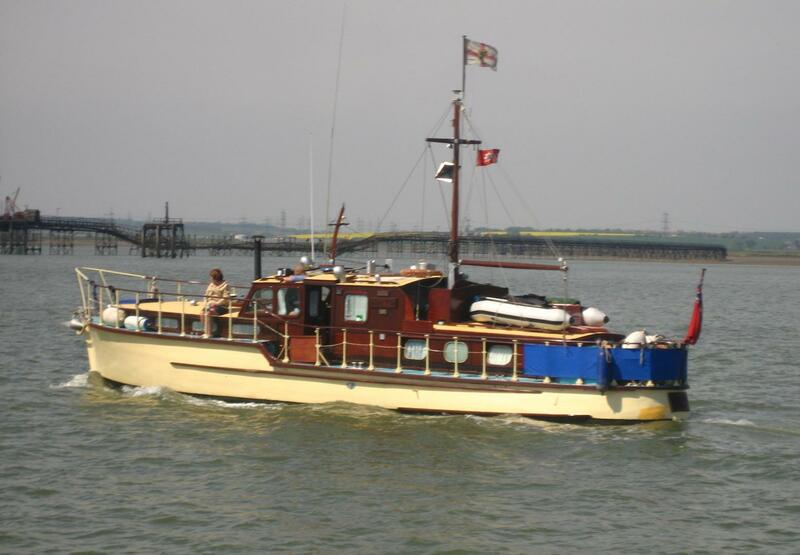 Builder: Southampton Launch & Boat Co.
Wendy Ken was built for W J Anstey of Maidstone, Kent and launched in May 1930, Lloyds registered 163358 in London. 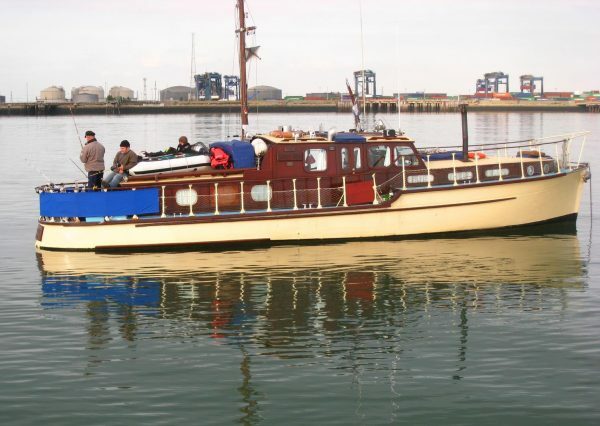 She was built to a L J Lambert design, resident naval architect at the Southampton Launch & Boat Works of Bittern Manor. 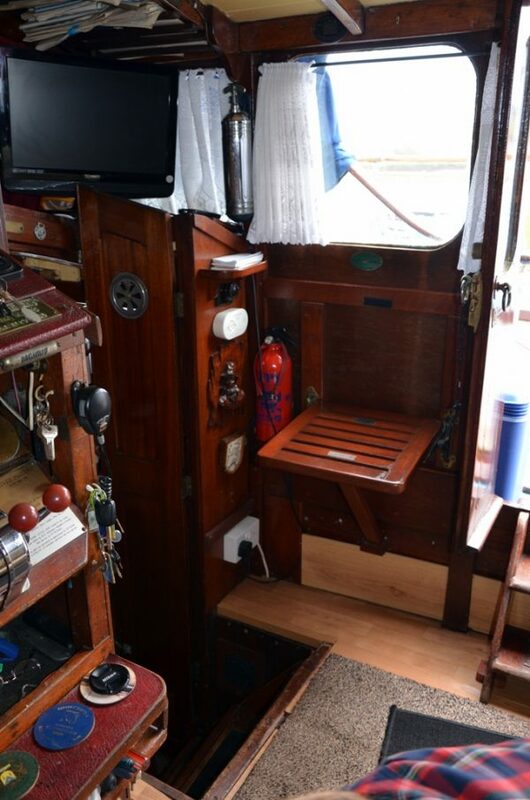 In 1933 / 34 Wendy Ken was lengthed by 6ft with the addition of an elliptical stern replacing the original flat transom. 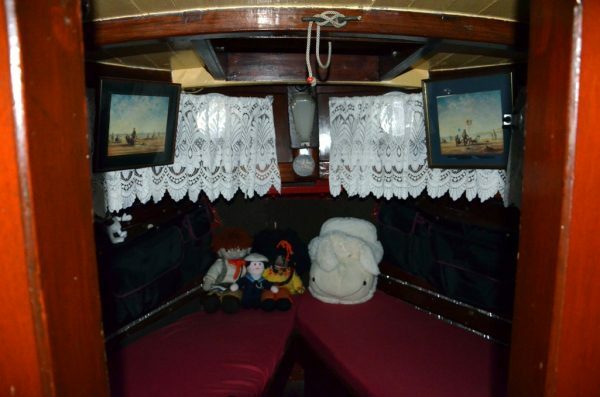 Wendy Ken , originally named Syliva was requisitioned by the Ministry of War Transport on 31st May 1940. 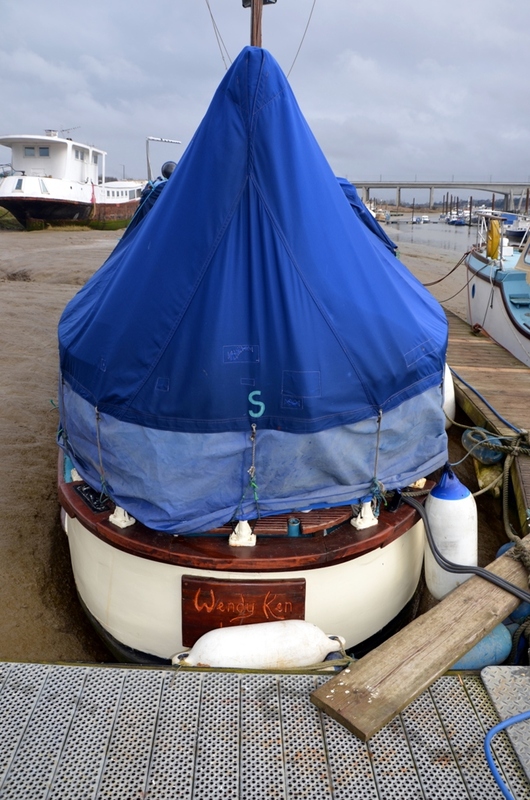 The owner was paid a fee of £12 for use of the vessel under Auxiliary Patrol Duties. After her involvement in Operation Dynamo at Dunkirk a sum of £83, 12 shillings and 6d was paid for repairs sustained on the beaches of Dunkirk. 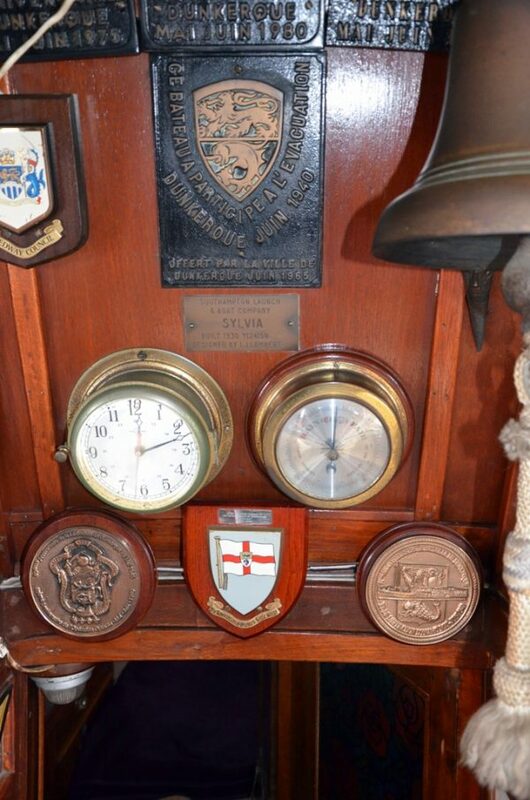 She then continued with Port Duties under the Naval Control at Lowestoft mostly as offshore submarine net patrol. 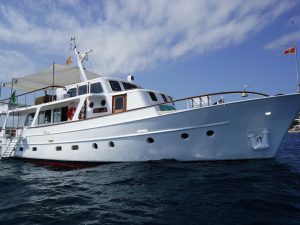 She was laid up on 31st July 1945 awaiting being sold and in March 1946 was returned to W Anstey for the endorsed fee of one shilling. 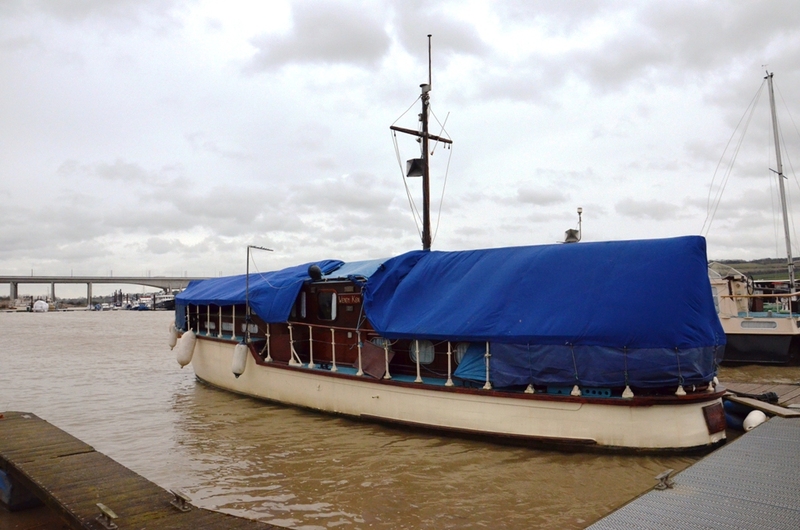 In 1948 she was sold to R Colebrook and renamed Mananui, kept on the River Thames. 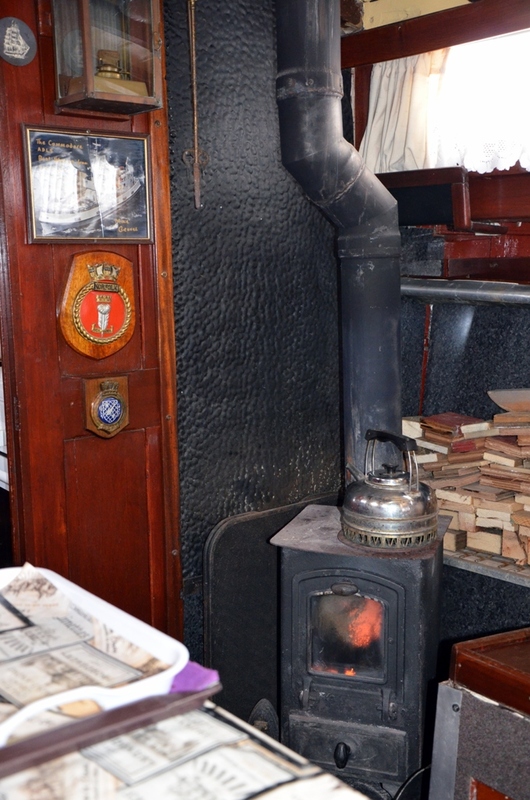 In 1952 W Bates & Sons of Chertsey re-built the wheelhouse after a small fire onboard. In 1958 Bert Harpur MD of Silverdale Motors bought the vessel and renamed her Wendy Ken after his two children. She was re-engined in 1962, the original Detroit Gray six cylinder petrol engines replaced by twin 46hp Commander BMC diesels. 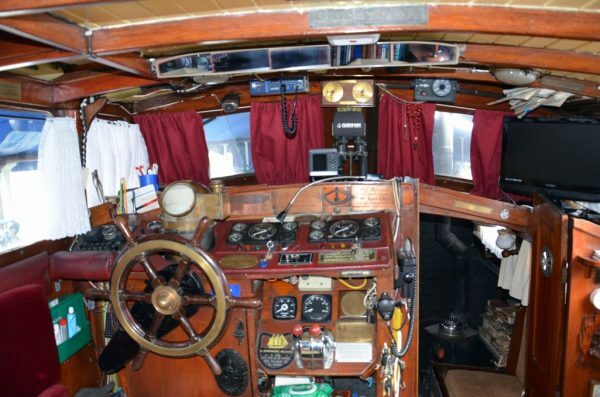 In 1984 the current owner purchased the vessel and re-engined her with 75hp 4 cylinder Ford FSD diesels. Wendy Ken has been recorded in numerous books, magazines and greeting cards with much media coverage over the years. On 7th April 2009 she was certified on the National Register of Historic Ships, number 508. 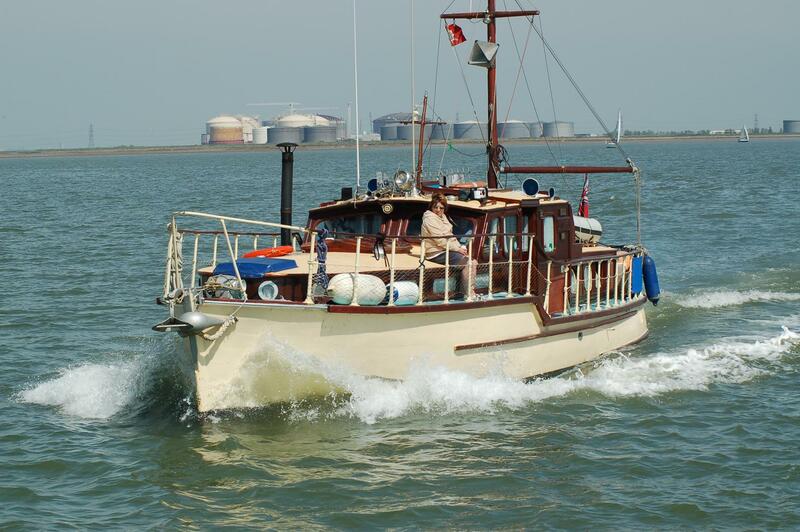 Wendy Ken has carried out many events and returns to Dunkirk the last event being to Chatham docks in 2014. 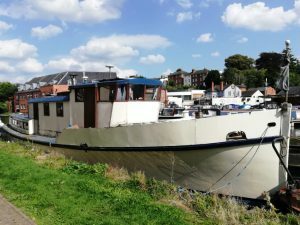 Recent work aboard includes under water re-caulking, aft keel bolts checked, three short planks replaced, new anodes, copper plating to rudder area, rudder skeg bolts replaced and four coats of black tar varnish. Traditional construction, carvel mahogany planking copper fastened to steam bent oak timbers. 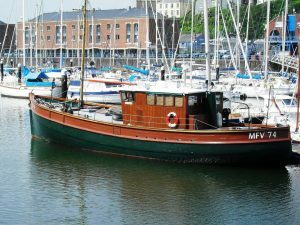 Marine-ply sheathed pine decks, mahogany, pine and marine-ply superstructure. 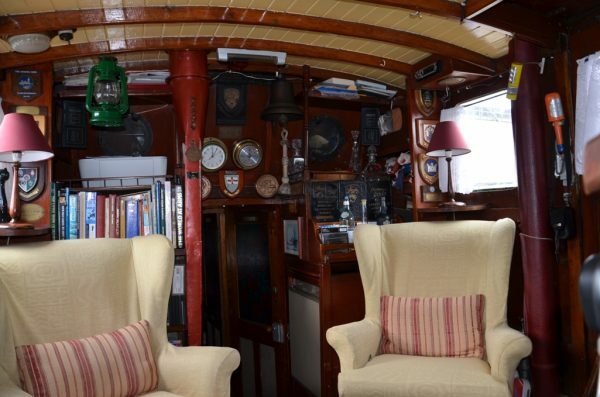 Straight plumb stem, round bilges, long keel and elliptical stern. 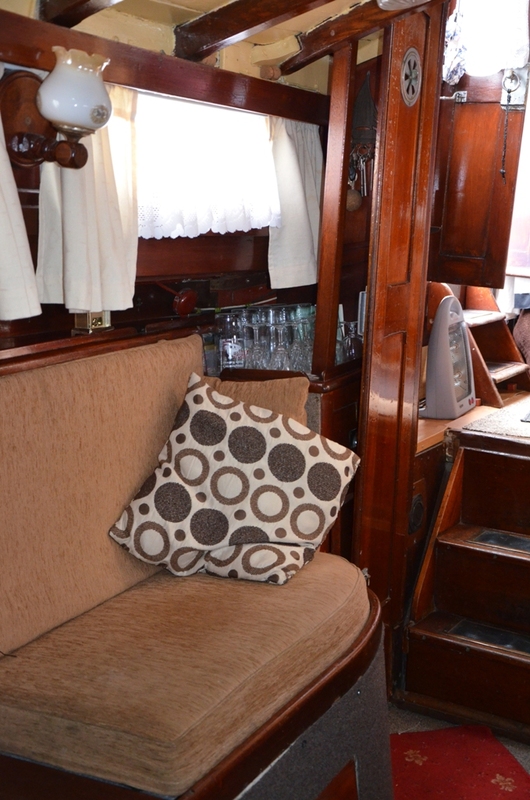 Traditional interior with three cabins featuring principally original mahogany joinery throughout. Propex hot air heating aft. Port and starboard ‘V’ shaped berths. 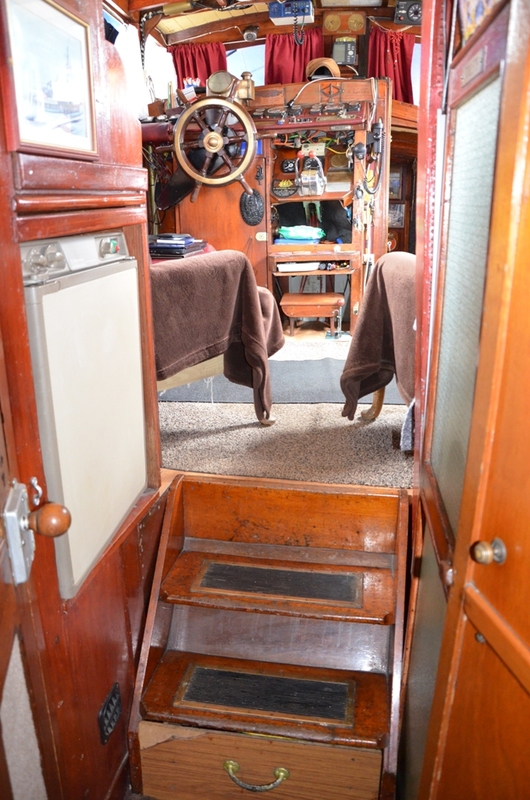 Lockers and stowage under. Fore-hatch. 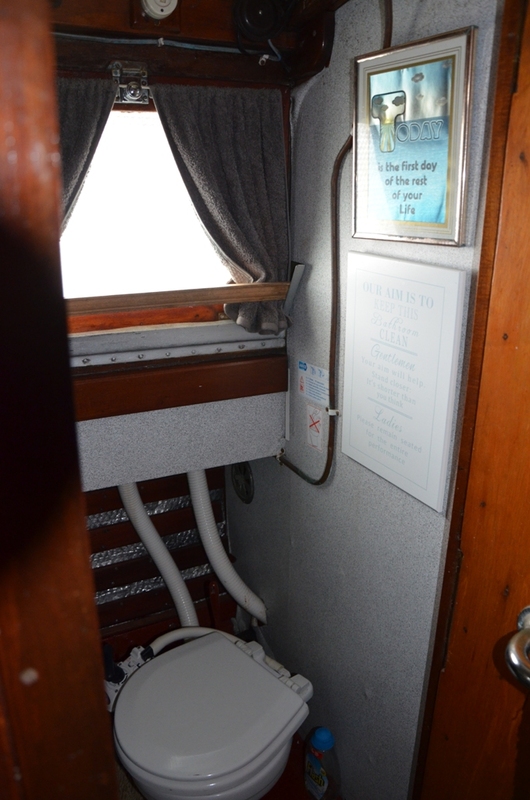 Port side pull-out ‘L’ shaped berth. 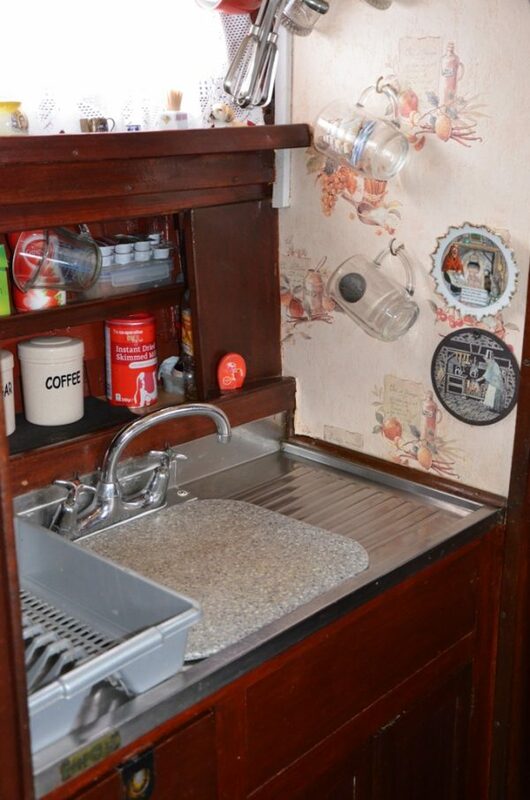 Locker, shelving, under settee drawers, centre skylight, Multi Fuel Stove, drop-leaf table and access to water tank. 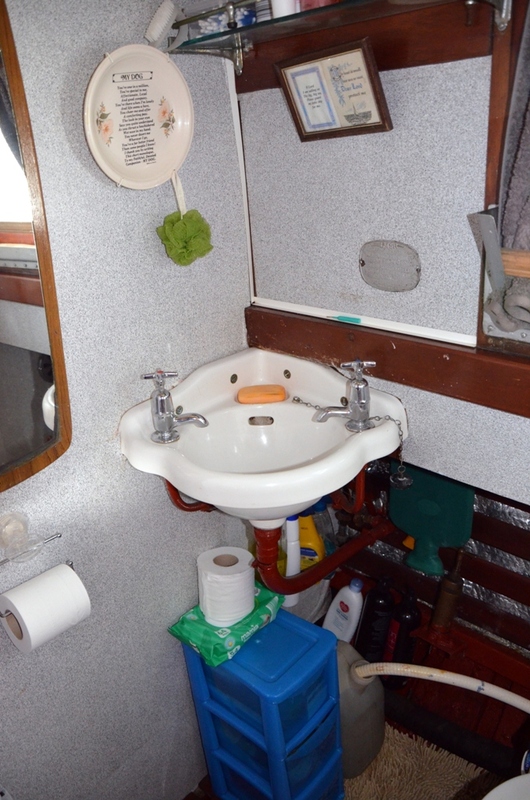 Port side sink unit h&c, pantry and crockery lockers under. 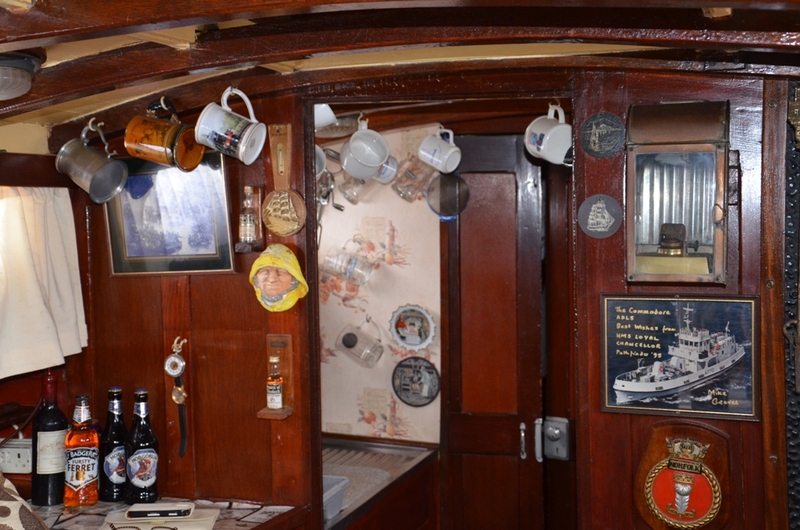 Gas cooker, cupboards and shelving to starboard. Jabsco Twist Lock WC serviced November 2014. Corner wash basin h&c. 240 volt washing machine, mains pwer point, 12 volt / 240 volt or 12 volt fridge. Helm position to port with morse engine controls and instrumentation. Spoked wheel. Dickie helm seat, fold down seat, two free standing Parker Knoll armchairs. 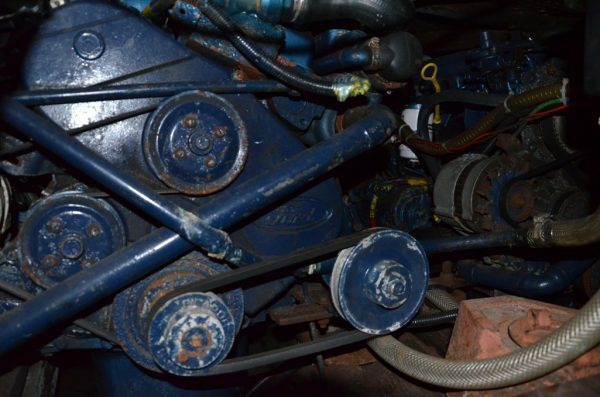 Access beneath sole to engine room. 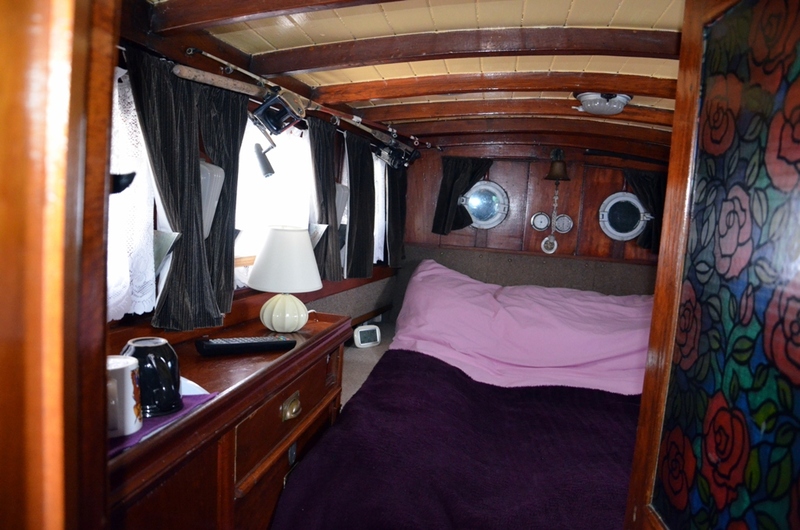 With central fore and aft 6ft x 4ft 6ins double bed with storage under. Wardrobe, cupboards and shelving. Housing TWIN 75hp 4 CYLINDER FORD FSD DIESEL ENGINES. New in 1994 and last serviced 2013. Recorded hours 919 and 921. Cruising speed 7 knots, maximum 9.5 knots. Two fuel tanks capacity 280 total. Shaft driven three blade 21 x 18 x1.5 bronze propeller. 240 volt shore power. 240 / 180 volt Honda generator. 290 litres fresh water capacity. 65lb CQR Anchor with hand operated deck winch. Full cast deck stanchions with timber capping rail. New powder fire extinguishers, fire blanket, numerous tools and spares. 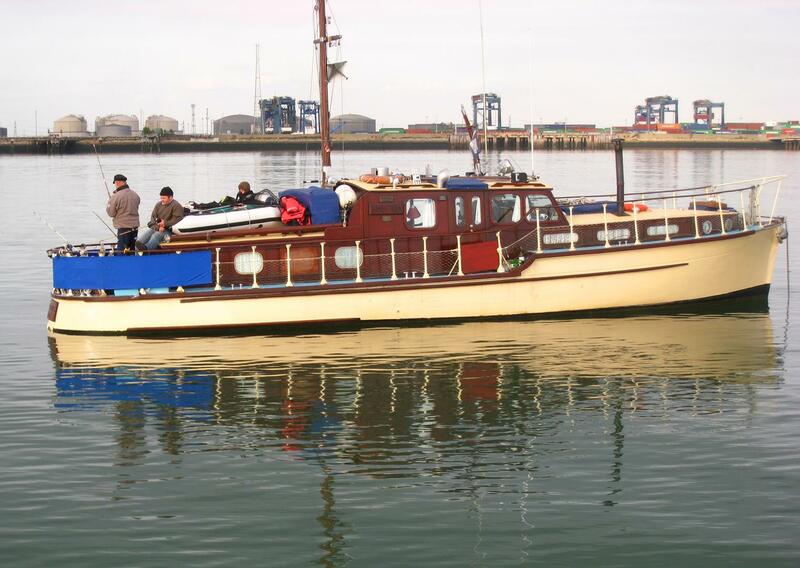 On the market for the first time in over thirty years this authentic DUNKIRK LITTLE SHIP makes an ideal cruising / floating home. 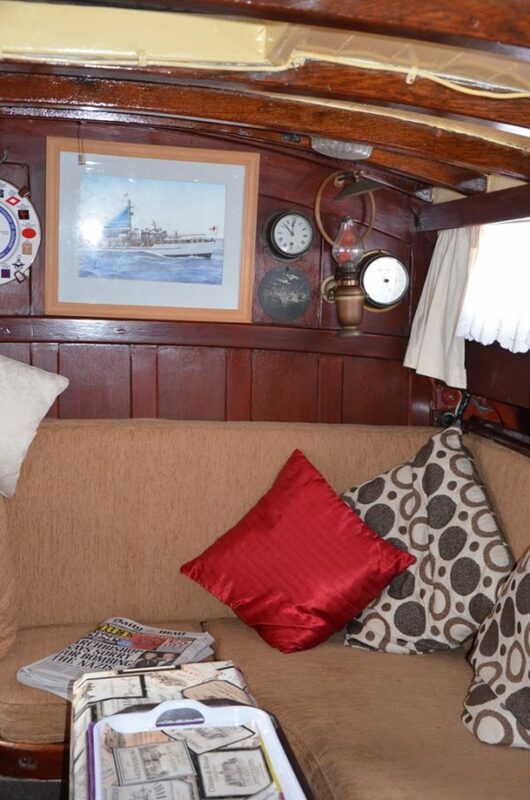 Comfortably appointed Wendy Ken has been lived aboard by her owners for many years whilst taking part in numerous pageants and events. 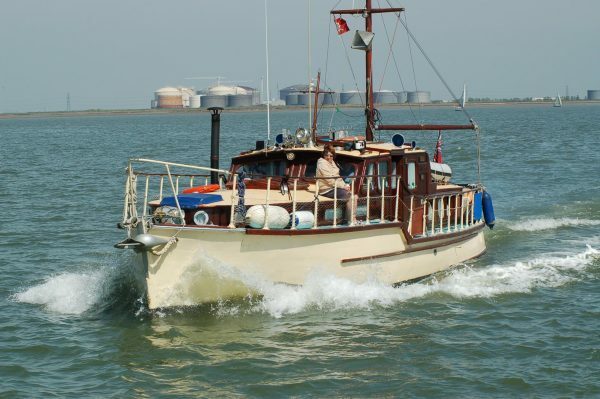 A superb opportunity to acquire one of the larger Little Ships in time for the 75th Anniversary return to Dunkirk this Summer. Insurance Survey 2012. Contact us for more information, photographs or an appointment to view.